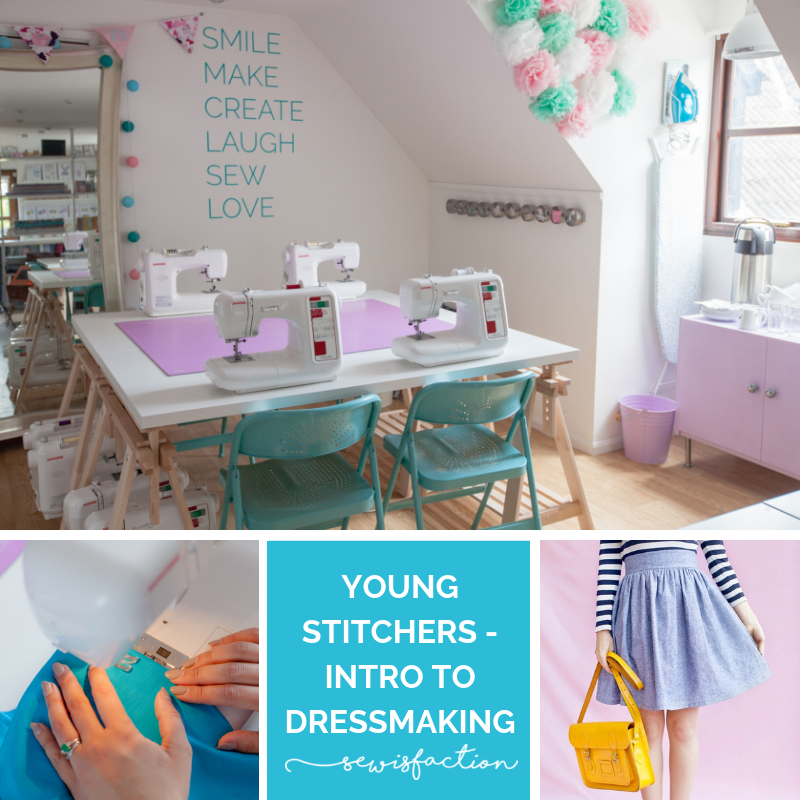 This course is aimed at those with an interest in sewing and dressmaking aged 11 – 16. Throughout the 6 week course we’ll take students through the key elements of learning to sew and hopefully fire up their passion for fashion and textiles! 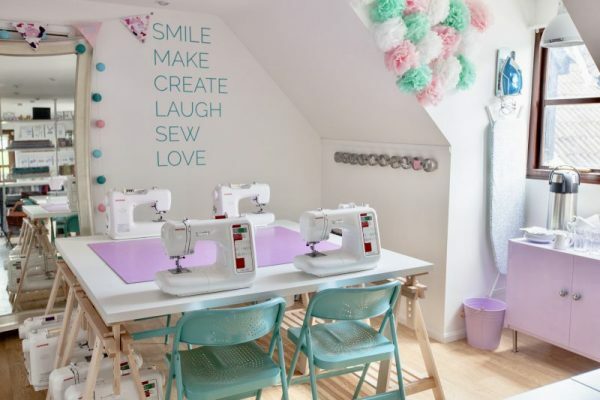 As well as helping with their creativity, learning to sew helps develop coordination and concentration skills, encourages expression through fashion and fabric and complements in-school activities such as textiles classes or Duke of Edinburgh skills activities. 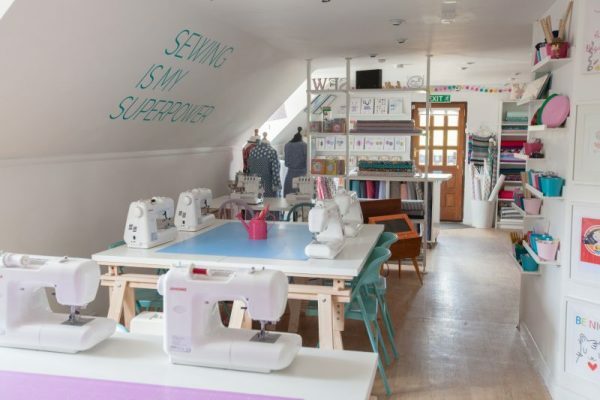 Each course is 6 weeks long and will cover getting comfortable with the sewing machine, understanding how to follow a sewing pattern and sewing a pair of PJ trousers and then they’ll get to create a basic gathered skirt pattern to fit their measurements and sew it up. Our sewing classes are relaxed and friendly, taking place at our beautiful studio at Holme Grange Craft Village in Wokingham, Berkshire. Students get to use our brand new digital Janome sewing machines and class sizes are capped at six to ensure everyone gets the time and attention they need. 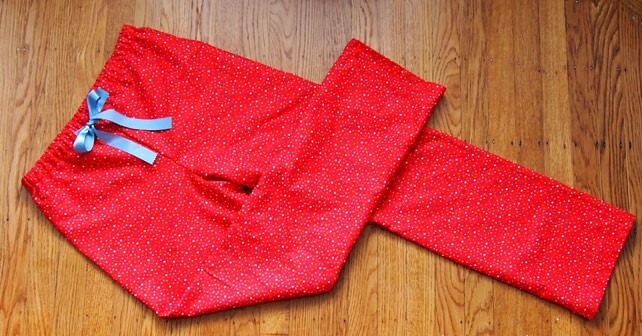 Students will need 2.5m of light to medium cotton fabric for their pyjama bottoms. We recommend cotton poplin, cotton lawn and brushed cottons. Students will also need 2.5m light to medium fabric for their skirt. Cottons, denims, chambray and needlecord would all be suitable. If you need any help with choosing fabric, please Contact Us. Everything else, including elastic, interfacing, zips and thread are all provided and students will keep both patterns they have used so they can make them again outside of the class. This course is aimed at those with an interest in sewing and dressmaking aged 11 – 16. Throughout the 6 week course we’ll take student through the key elements of learning to sew and hopefully fire up their passion for fashion and textiles.